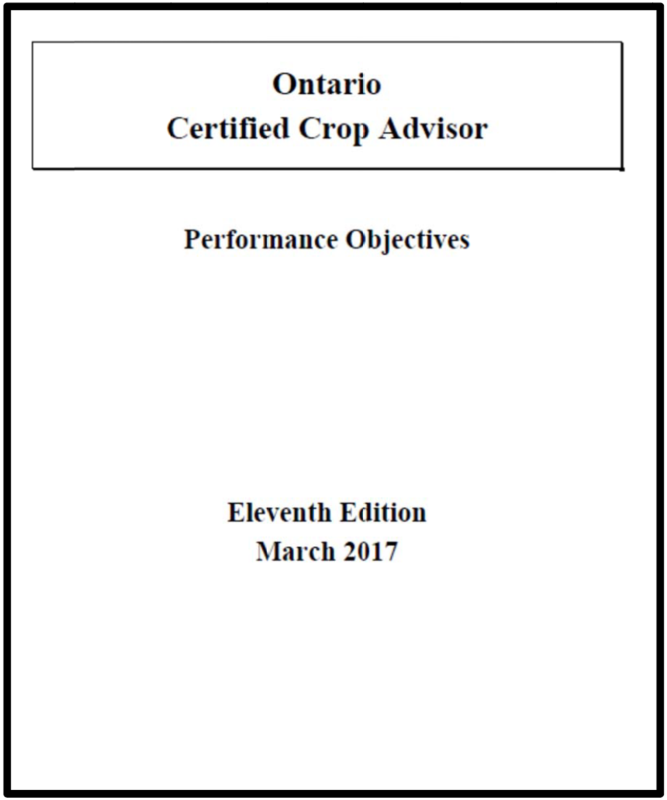 Request or print off the Ontario Certified Crop Advisor Performance Objectives and International Performance Objectives. You may also wish to purchase the reference material cited in the Ontario and International CCA Objectives by clicking here. Purchasing study material does not register you for the exams. The cost for both study guides, including tax and shipping, is $176.31 and is non-refundable. We also offer a pre-exam workshop for those interested in attending. This workshop is not mandatory and takes place in January, a few weeks before the exam. The pre-exam workshop fee is $225.00 + HST. To register click here. There are two certifications exams that you are required to write and pass, as the first step in the process to become a CCA, the Ontario (local) and International. Exam registration is CLOSED for the February 2019 exams. Exams are only written once per year in Ontario, the first Friday in February and there are no exceptions to this date. The International exam is $195 + HST and the Ontario exam is $100 + HST. The exam registration fees are NON-REFUNDABLE after the registration deadline. This means that there are no refunds provided after the December registration deadline has passed. Note: Passing both exams does not automatically make you a CCA. 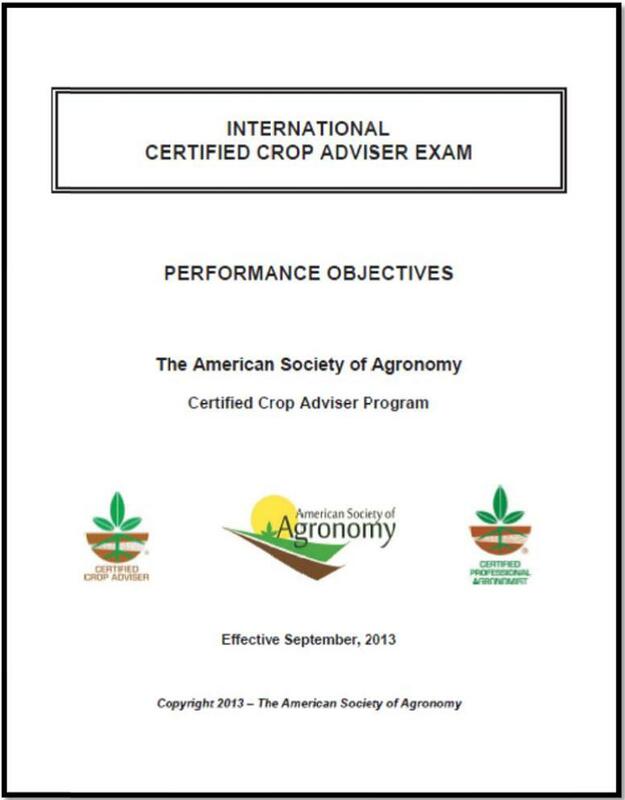 Once you have passed both exams, the CCA head office in Madison, WI will send you a link for the Certified Crop Advisor Certification booklet which outlines the certification steps and contains the complete credentials package of forms. Requirements are degree plus two years’ experience, diploma plus three years’ experience, or high school plus four years’ experience. At least 50% of the required experience must come from North America and the degree/diploma must be agriculture based. In your credentials, you are required to fill out your education, work experience, and provide two references (one employer and one client). Once your credentials are complete, you will need to send them back to Madison within six months of receiving your exam results. At that time, Madison will submit your information to the Ontario CCA Standards and Ethics Review Committee to review your application. Once the Standards and Ethics Committee has reviewed your credentials, you will receive a letter outlining their decision. You will either be awarded full CCA status, CCA Candidate status (for those who have successfully completed both exams, submitted their credentials, but lack the overall experience needed to be awarded full CCA status), or be denied due to incomplete credentials.